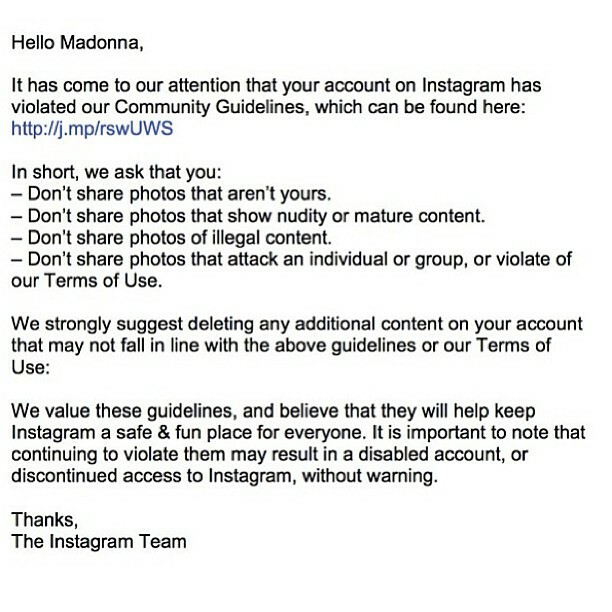 When Madonna gets pulled up about Instagram etiquette, you know things are serious. 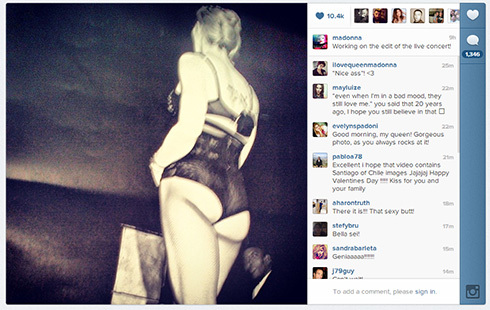 Here is what Madonna was sent a few hours ago, which she posted on Instagram. Of course. Could it have been any of these photos that tipped Instagram over the edge...?